Revelation Online is coming to Steam very, very soon! It means more people will soon be trying the game than ever before; which means more friends to make, enemies to vanquish and more fun to be had. In order to maximise everyone’s enjoyment, we need veterans to come together to welcome Steam’s newcomers as best they can; by helping them understand Revelation Online’s extensive features, Nuanor’s deep lore and the community's curious ways - and how they all combine to provide a unique MMOG experience. What we’re asking for is as many tutorials and insights as possible to fill Revelation Online’s Steam Community Hub area before midnight CEST on Sunday September 9th, 2018. These can be written up as guides or posted as gameplay videos, and they can be as extensive or exacting as you see fit. What we do insist on, however, is that they are your own work, are as accurate and as accessible as you can make them, and don’t contravene My.com’s Terms of Service or Codes of Conduct. What’s in it for you, aside from the warm glow of satisfaction that comes from helping someone take their first steps in a strange new world? How about some lovely in-game stuff, with the following going out to the finest of the English entries, another for our French players, and also a full selection or prizes for the German winners. If you need further inspiration, check out the Revelation Online forum or reference any of the current ‘How to start’ guides as a starting point, or why not have a think about parts of the game you found difficult when you were getting started and how you overcame them to become the unstoppable guru you are today? You can submit as many guides as you like for as many areas of the game you’re an expert in, but there can be only one main winner for each of the main languages - English, French and German - although we will have some worthwhile surprises for a select number of runners-up - more on those soon! Do please remember to include your main character name and server at the end of your guide so that we can distribute prizes as quickly as possible after they become available. We realize that writing guides and making videos isn’t for everyone, which is why we’re running a competition in parallel for those with an artistic flair - check it out! Good luck to you all - and on behalf of the next generation of Revelation Online players, thank you! Only entries submitted before September 9, 23:59 CEST (02:59 p.m. PDT) will be entered into the contest. Entries must be posted to the Revelation Online Steam Community Hub. Please add your character name and server to the post. All prizes will be given out as codes. 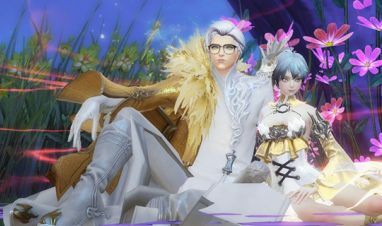 Entries cannot contain any material that violates the Revelation Online Forum Code of Conduct, Forum Terms of Service or the My.com account Terms of Service. Any and all players are subject to disqualification at any point before, during, and after this competition for violating the Terms of Service or any of our rules of participation. The best entries will be determined by the Revelation Online team and winners will be announced online. The content used to create your entry cannot be third party copyright material. Only material from Revelation Online, My.com or copyright-free license can be used. You agree that your entry can be used by My.com for promotional purposes (e.g. published on official channels or the website). 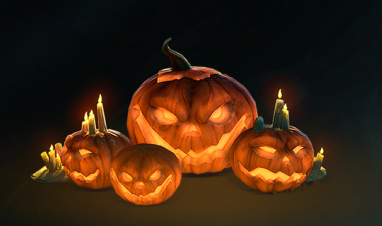 Scare us with your Revelation Online themed pumpkin carving for a chance to snag fantastic rewards! Announcing the winners of our Valentine's night out competition!